Without the youth vote, Obama woud have lost Florida, Ohio, Virginia and Pennsylvania—and the election. Add this to the list of bad bets the GOP placed this year: that young Americans’ support for Barack Obama, and their interest in politics in general, was tenuous enough to break—and that it could be broken through discouragement and voter suppression, rather than by specific appeals to their concerns. Twenty-two to 23 million Americans under 30 voted yesterday, with a turnout rate of at least 49 percent among eligible voters. That figure is comparable with the estimate at this time in 2008, which later rose to 52 percent as final results trickled in. Nearly a fifth of all voters were under 30 (19 percent, up from 18 percent in 2008), and they voted for Obama by a twenty-three-point margin, 60 to 37 percent. The president could not have won without them. An analysis from the Center for Information and Research on Civic Learning and Engagement (CIRCLE) suggests that eighty of Obama’s electoral votes depended on the support of young voters. If Romney had captured just half of the youth vote in Ohio, Virginia, Pennsylvania and Florida, those states would have swung red, and those eighty votes would have given Romney the presidency. And millennials didn’t just show up to vote for the president. In California, decidedly not in play as a swing state, young voters made up 27 percent of the electorate. Elizabeth Warren won her senate seat with the support of over 60 percent of young voters in Massachusetts. Ballot initiatives legalizing gay marriage passed in Maryland, Maine and Washington. “This voting block can no longer be an afterthought to any political party or campaign,” said Smith, calling strong youth participation ‘the new normal” in American politics. Since 2004, about half of all young adults have voted in presidential elections, while through the 1990s turnout hovered near 40 percent. 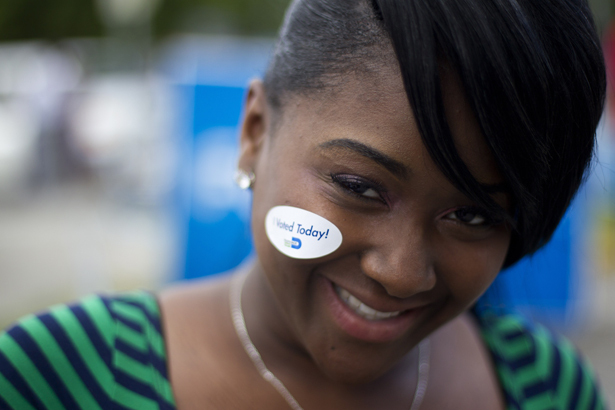 By 2020, millennials will account for nearly 40 percent of the electorate. They are more diverse than any previous generation, and the single moniker belies the span of their political concerns. These voters are also coming of age in a time when support for gay marriage is not radical but a matter of basic fairness; when a black president is elected not once but twice; and when strong women win the battles for seats in Congress. It wasn’t just that the president had a stronger ground game, four years of pro-youth policy and an emotional foundation to run on. It’s that Republicans across the board support policies that most young Americans do not.